Middletown....David "Cong" Allen Matthews, 59, of Middletown passed away unexpectedly at his residence July 11, 2018. He was born in Monticello, KY, March 28, 1959, the son of Finley and Bonnie Richardson Matthews. He attended Shenandoah High School and retired as an operator for Local 103 at Grade X. He lived in Cadiz since he was ten years old and loved mushroom hunting, fishing, hunting and gardening. He loved NASCAR and his favorite drivers were Dale Jarrett, Marten Truex and Dale, Jr. and Sr. 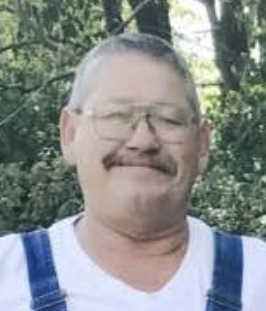 He is survived by his wife: Janie of Middletown, daughter Erika Matthews of Pendleton, sister: Karen Drumm (Tim Owens)of Henry County and brother: Roger Matthews of Middletown, several nieces and nephews and great nieces and nephews. He was preceded in death by a brother: Ray Matthews and his parents. Services will be Monday at 11:00 am at Ballard and Sons Funeral Home, 118 South 5th with Shellie Swoveland officiating. Friends may call on Sunday from 3-8 PM at the funeral home.